Took a short walk over to Wrigley Field yesterday. 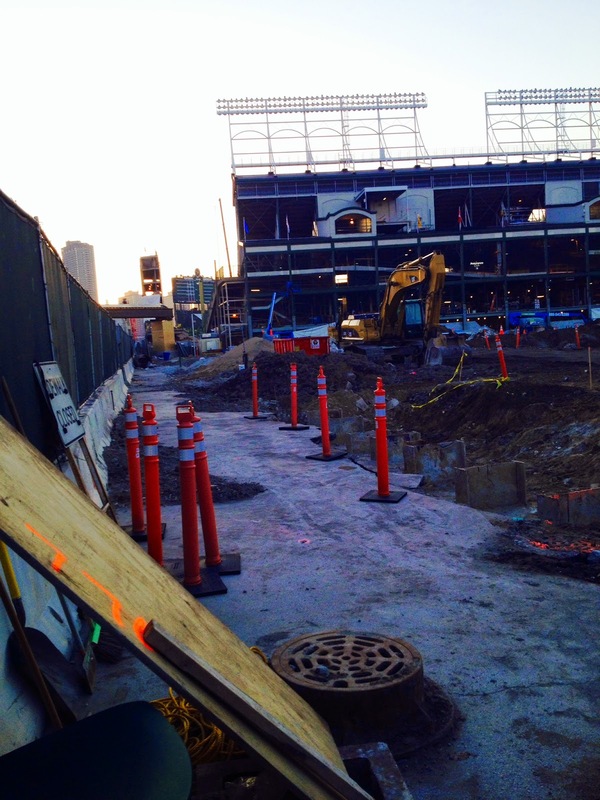 With 72 hours to go until the 2015 Home Opener @Clark & Addison, it looks as if the union trades will be logging triple-overtime to get her ready. The Cardinals swing into town this Sunday night for a three game series; two under the lights and one afternoon. Good news is the snow has melted. Bad news...sorry, it's Spring in Chicago and its baseball season--there is no bad news. Chicago Voters Step Out For CHUY!